You are here: Home / Reviews / Choosing the BEST Bread Machine! Choosing the BEST Bread Machine! We’ve based our best bread maker machine reviews on a few important criteria including ease of washing, ease of use and cost. Do you need a Bread Maker? Are you thinking about buying a bread machine? If so, there really are a few important “technicalities” for you to think about before you buy. Breadmakers are a real time saver. They make making fresh and nutritional bread easy for any cook, regardless of your experience. But as anything that costs a few dollars, you need to do a little research to see which bread maker is right for your home needs. The first thing to consider is the amount of bread you eat per week. That is, the number of loaves you consume. There is no threshold that I know of that tips the balance in flavor of buying a bread machine, but for me the tipping point would be more than two loves per week. That’s from an economical stand point. The point is it wouldn’t be so worthwhile buying a bread maker for one person, but there again, why not? It is a personal choice. Another scenario that is important is your family’s health and nutrition. Bread machines are great for families that have strict diets due to being vegan, or allergies to certain ingredients usually found in store bought breads. The second important consideration is space. Do you have enough free counter space to have one in your kitchen? Some bread machines are bigger than others. To give you an idea what to expect, I use as an example the popular Panasonic SD-YD250 bread maker model, which measures 14 x 13.5 x 9 inches. The main advantage of owning your own bread machine is that, provided you have all the ingredients at home, you control your own supply of bread. That means you can make bread whenever you want, and fresh bread at that. Who can resist that smell of newly baked bread and not want to eat some as soon as it cools down? Making your own bread is great for the kids too. They love it, and my daughter likes to help with the preparation as well. It is great to be able to get kids involved in this way. And there are good health reasons for baking your own bread. You get to control the ingredients that go into the bread mix. Bread makers are good for people who can only eat gluten free bread. Not all bread machines have the capability of doing this but some models have this functionality. Bread machines are so versatile. You can mix the dough in one and then continue the bake in a conventional oven if you wish, and some users do this. This is because bread makers do all the hard work for you. They mix and knead the dough as part of the bread cycle. So you can remove the dough when you are ready to transfer it to the oven for baking. It is great being able to make the bread overnight or when you are out. All you do is set the timer and the bread is ready for you. You do not necessarily need to buy the most expensive bread making machine either. Many bread makers have similar functions, and the cheaper models can be just as reliable and long lasting as the more expensive ones, but you will need to research the consumer websites to discover which models are rated the best. When it comes to choosing the best bread maker machine there are a number of factors to think about, and the order of these depends on your priorities. 1. Cost. Some bread machines are more expensive than others, but expensive does not necessarily mean better or longer lasting. That’s why I wrote this guide. So you don’t pay more for a model that’s just not worth the cost. 2. Does it meet your dietary needs? 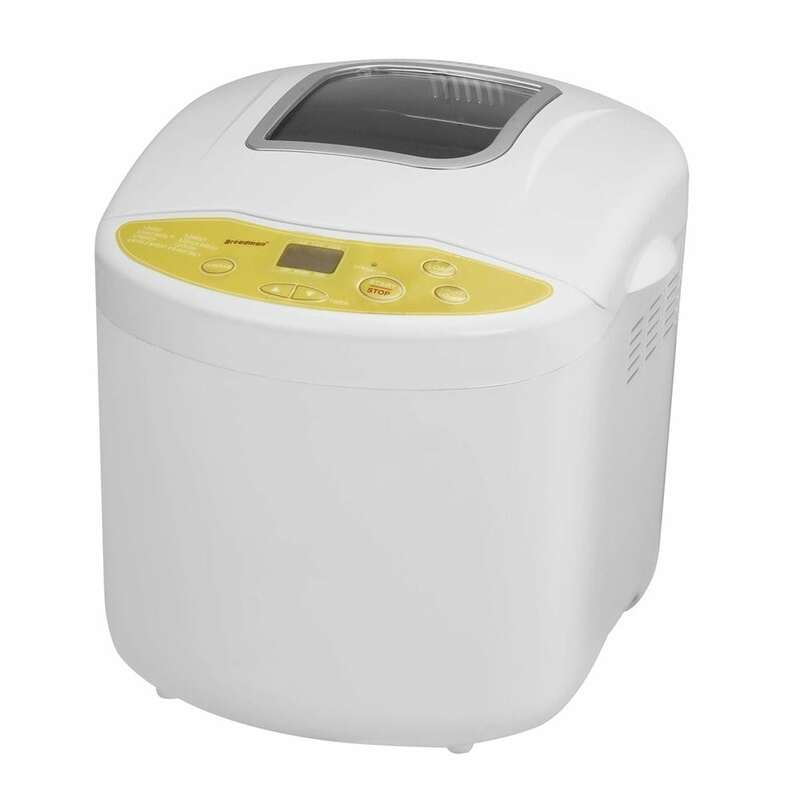 If you need a bread maker machine to bake gluten free bread, for example, choose a model that will bake it for you. Controlling the ingredients that go into your bread is an important aspect of having you own machine. 3. Easy to clean and use. Most bread machines are easy to use and clean up after use. Manufacturers have made them easy to use. There are many people coming to making their own bread for the first time and have never used a bread maker machine before. Most breadmakers have digital displays which are easy to see and use. 4. Size. Be sure that you have enough room to site the bread machine when you get it home. A few measurements will soon put the issue right. The one big drawback of these makers is they do take up some counter space. And even if you plan to store it when you’re not using it, you’ll still need space for that too. 5. Guarantee. Look for a model which offers a guarantee of at least 12 months. It is worth bearing in mind the more often you plan to use and the longer you hope to keep the bread maker, the more likely you might need bread machine parts to replace worn out parts for your particular model. It’s great to know that you have a least a year of free parts and replacement. Just my opinion, but choosing a well known make gives me more confidence that my money has been well spent. 6. Looks. Choose a bread maker machine that will look good in your kitchen and matches your decor. They come in all sorts of colors or just stainless steel. and check that it has good customer reviews. This gives extra confidence that you have made a wise buying decision. Buying a bread maker from a well known manufacturer gives confidence in the product. If you do buy from a well known manufacturer, the product is likely to be guaranteed for a minimum of one year, and, because the manufacturer is well known, you can be sure they will be keen to preserve their good name and reputation with the buying public and that means customer service is likely to be good as well. Look for a bread maker that has a good range of programs. You will need programs for basic white bread, wholemeal bread, French bread, sweet and sandwich breads, and it is useful to be able to make jams and bake a cake in the bread machine as well. Having the facility to make bread quickly using a rapid bake programmer can save a lot of time baking bread. It means the difference between waiting about four hours compared with about one hour, for the finished loaf of bread to be cooked. User defined programs are usually only available with the more expensive models, and are for more advanced users, but you can mange without them. This is important, and I would recommend a loaf size of at least 1.5lbs. Two loaf sizes are fine, 1.5lbs and 2lbs, for two adults and two children. You can buy a one pound bread maker and they are ideal for the smaller household, or single person. For those with special dietary needs a gluten free bread program is available on some bread machine models. See Gluten Free Bread Maker. Either of these functions will enable you to add extra ingredients to the dough at the required time in the bread making cycle. It’s a useful feature to have. It is handy to be able to select the color of the crust, and the choices are normally light, medium and dark. If you intend making bread overnight, using the timer feature, make sure your breadmaker is not too noisy or it might wake you up. Some breadmakers are noisier than others, and you can often find the noise level by looking in the instruction manual. It is true of many makes of bread machines that their kneading paddles gets stuck in the base of the loaf. When this happens you have to pry it out once the bread has cooled down, when the bread is safe to handle without getting burnt. Don’t be tempted to use a sharp implement as this might scratch the non stick surface of the bread pan. If you have never had to do this before, be assured that it is easy to do and after a couple of goes you get better at retrieving the paddle without making much of a mess in the bread. A breadmaker with cool touch sides means you can safely handle the appliance without the risk of burning your skin. It is a fact of life that mechanical faults do happen sometimes. If you are unlucky enough for this to happen to you, make sure there is a guarantee with the bread machine. Also make sure you read the terms of the guarantee. How Big Is The Bread Maker? Check the physical dimensions of the bread maker before you buy. You want to be sure you have enough counter top space to position the appliance in your kitchen. Looks are important as well. Bread makers come in different colors and shapes and it can be important to choose the right one for your kitchen. Zojirushi BB-CEC20 and the BB-HAC10. But for me, it’s the PAC 20 that stands out. 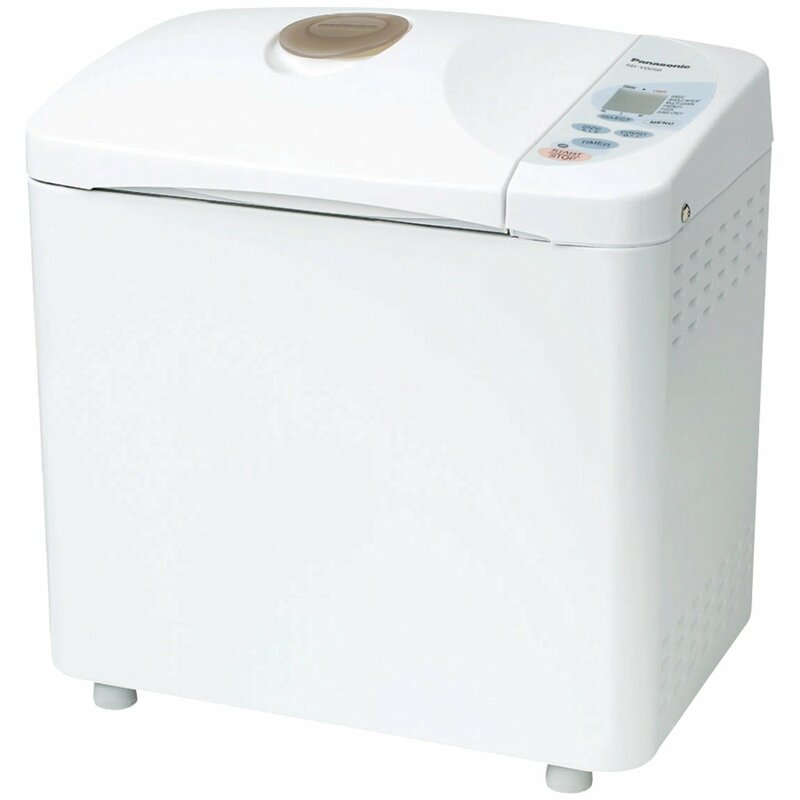 This model is one of the highest rated Zojirushi bread Makers out there today. It’s solid, affordable and makes some killer bread! This is a state of the art bread maker. It is a dual-blade machine that makes rectangular shaped 2 pound loaves of bread. The advantages of the dual kneading blades are that they knead the dough more thoroughly than a single blade unit. There is a large viewing window so you can watch what is going on. Really helpful when it’s your first time making bread using a bread machine. I kept thinking I was burning it, or undercooking, but the little window helped me feel a lot better. I know, a bit dumb! This bread machine has 10 pre-programmed settings, 3 crust shades, an LCD control panel and a 13-hour delay timer. So set it up and wake up to fresh bread the next day if you want. 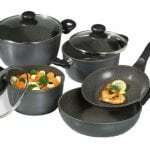 The bread pan is removable and the surface is non stick which makes cleaning a LOT easier. 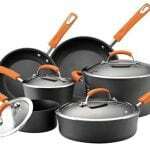 You should always get a unit that has a non-stick surface. There is a cycle to help you make sour dough starter too. There’s an automatic warmer which keeps the loaf warm for 30 minutes, as long as you don’t remove the bread from the bread maker machine. It beeps to let you know when to add the add-ins, if required. If you want to follow your own recipe, you can change the settings to suit the recipe instructions you are following. For example, you can knead for a longer or shorter time if you want to. You can make cakes with this breadmaker, or jams. The dough course prepares the dough for you to use in pizzas, rolls, cinnamon rolls, etc. There is a quick loaf setting which makes bread in just over 2 hours. On the normal setting, the bread is ready in just under 4 hours. You can even make meatloaf with this bread maker, using the Home Made menu setting. The only drawback to this machine is it’s so “high-tech” that it might be a bit complicated to learn to use at first. But the instruction manual is clear, so just follow along and you shouldn’t have any trouble. 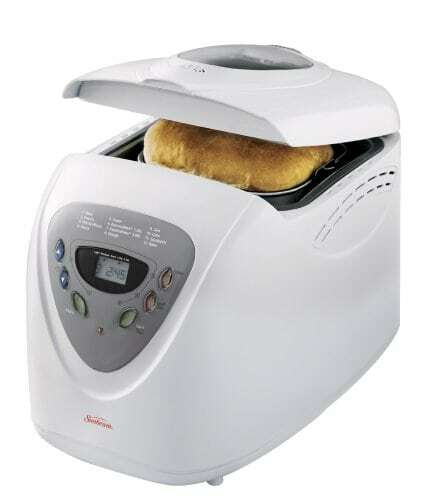 The main selling point of this particular bread maker is that it is easier to use than many of the other brands and models. All you do with the Panasonic SD-YD250 Automatic Bread Maker is add the ingredients, press some buttons and the machine does the rest. Yes, it really is that simple. 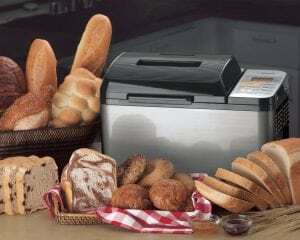 What I like about the Panasonic SD YD250 Automatic Bread Maker is the flexibility it gives the user to make a variety of different products, basic loaf, whole wheat, multi grain, French, pizza and cake. Using the user friendly controls, it is easy to make professional looking loaves in different sizes. Plain white flour is not the only available option. 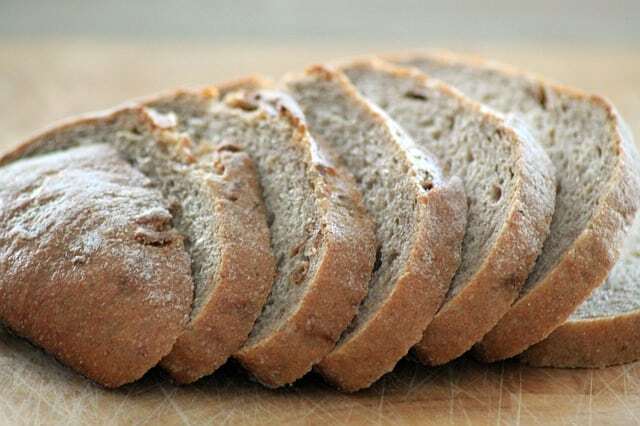 You can use whole wheat as the main ingredient, or perhaps you prefer wholemeal for a multi-grain loaf. It doesn’t stop there. If your preference is for crusty French style bread, you can make that in the SDYD250, and you have the ability to bake cakes whenever you like. 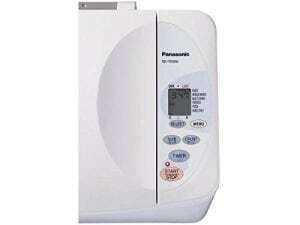 This Panasonic Breadmaker really is a great all round bread maker. There is also a rapid dough program for pizza, focaccia and other Italian breads which is great for spaghetti night. This machine also allows the user many permutations of bread making. You even get to choose your preferred crust color when baking white bread. The SD-YD250 takes the hard work out of baking bread, making it as easy as possible for the user to make fresh bread the whole family will enjoy. Bread is such an important part of the diet and it is great you get the chance to control what goes into your loaf of bread. Adding nuts or dried fruits such as raisins adds variety and health for young and old family members alike. All the family benefits from healthy eating. If you have ever made bread the hard way you will know how important it is to add the yeast at exactly the right moment in the bread making process. This bread maker takes care of when to add the yeast into the mixture. You put a measured amount into the holder on the lid and from there the machine automatically adds the yeast to the ingredients in the correct amounts when it is needed, to ensure the best results. This is a really neat feature. Another useful feature is the 13 hour digital timer which means you can have freshly baked bread when you return home after being out for the day. Or you can bake the bread over night and eat freshly baked bread for breakfast. Either way, this gives the user added options. 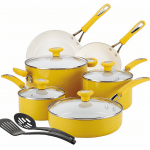 The following items are included in the box: measuring spoon, measuring cup, kneading blade, and recipe booklet. The recipe book has the recipes for 40 breads and doughs, and there are baking tips to help you as well. An important feature is the instruction manual which is very good and very well laid out. The diagrams are large and detailed and are clearly labeled and easy to understand. Comes with a one year limited warranty.. There is no viewing window to look at the bread, but the reason for that is better heat reflection for a better quality loaf. If you don’t get nervous and need to look at your loaf baking every 5 minutes like I do, you can go with this Panasonic SD-YD250. It’s a solid machine at a realistic price. Perfect for those newer to bread making. Making your own bread really is easy using the Breadman TR520. Make all your favorite breads when you want them. All you do is put the ingredients into the bread maker and let the machine do the rest. The result is a professional looking loaf, made with the ingredients of your own choosing. This bread machine is easy to use and it makes great bread too. 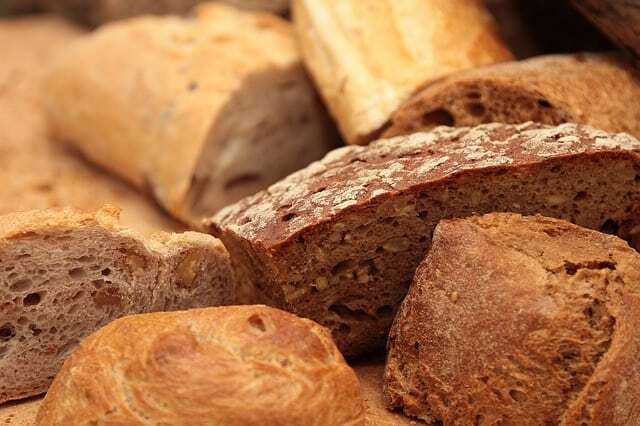 Why not try your hand at French bread, whole wheat bread, brown rice flour bread, Irish potato brown bread, and more. The breadmaker comes with a useful recipe book to get you started, so you can make all your favorite breads. There is an instruction book as well. Finished in stylish white this bread machine looks good in any kitchen, and it does not take up so much space as some of the rival breadmaker machines, due to its smaller size. This breadmachine makes 1 1/2 and 2 pound horizontal loaves of bread. There is an easy to read LCD display. By using the viewing window you can check on the progress of your loaf of bread. The time to bake a loaf of bread varies between over 1 hour and about 3 1/4 hours. There is a super rapid cycle, and cycles for whole wheat and gluten free bread. Also has cycles for pasta, jam, and pizza-dough, so there really is a lot you can do with this bread machine. It is great being able to control what goes in to your bread. Sometimes when you see the list of ingredients in bought bread you really don’t know what you and your family are eating. You don’t have to use sugar as a sweetener either, you could use an alternative sweetener of your choice, such as syrup. Making your own bread really is a healthy option for all the family. There is a timer so you can serve freshly baked bread at a time that suits you giving you the option of baking the bread overnight or when you are out. There is no need to remember when to add fruit or nuts, as there is a handy beeper that lets you know when its time to add these ingredients into the mix. And when you have used the bread maker, the non stick surface in the bread pan makes cleaning a breeze. The Breadman TR520 bread maker is also a quieter machine than other brands. A consideration for those of you that can’t cope with noise. This breadmaker comes with a useful bread machine recipes book to get you started. This is only a basic guide and you will probably need to purchase at least one good bread machine recipe book. There are tons at really inexpensive ones here. This unit comes with a one year warranty and a Breadman manual. 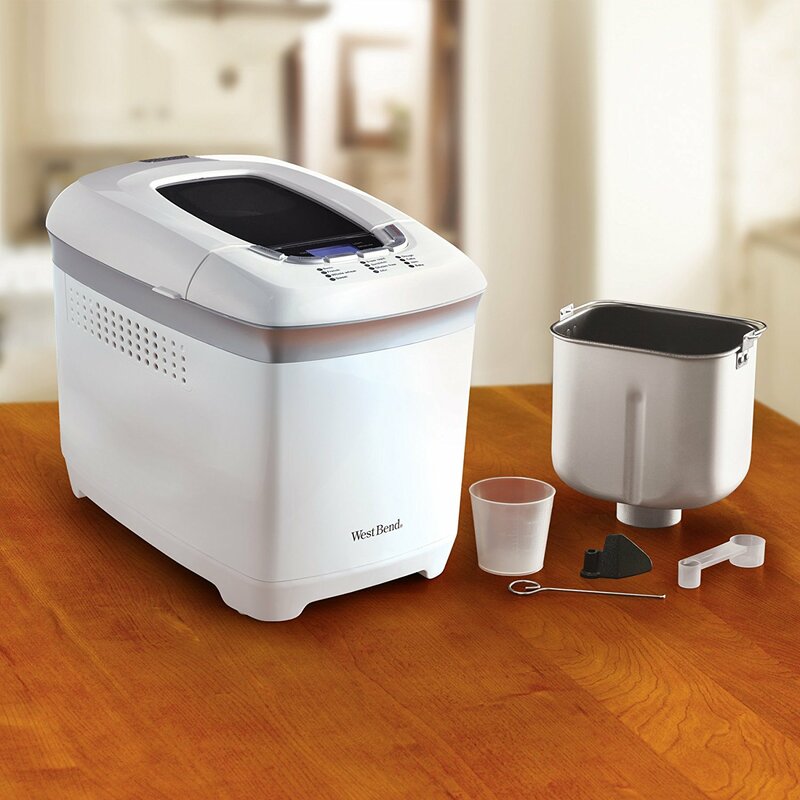 The West Bend 2 lb bread machine takes the effort out of making healthy, home made bread. It’s so easy to make your own bread with the West Bend bread maker. You measure out the ingredients, place them in the machine in the correct order for each bread recipe, select the program with the desired crust color and hit the start button. The bread machine takes care of the rest. All you need to do is remove the baked bread from the bread machine and eat it. The instruction book which comes with the West Bend 2 lb breadmaker shows you exactly what to do, and goes into the topic in depth, from understanding the control panel, describing the ingredients, basic steps in bread making, to cleaning the bread maker and there is a trouble shooting section followed by a section of bread recipes. Bread machine manufacturers make operating their appliances as easy as possible for you and me, even if you have no previous knowledge of a bread maker, and if you follow the instructions you can’t really go wrong. The main thing is to measure the ingredients accurately each time. 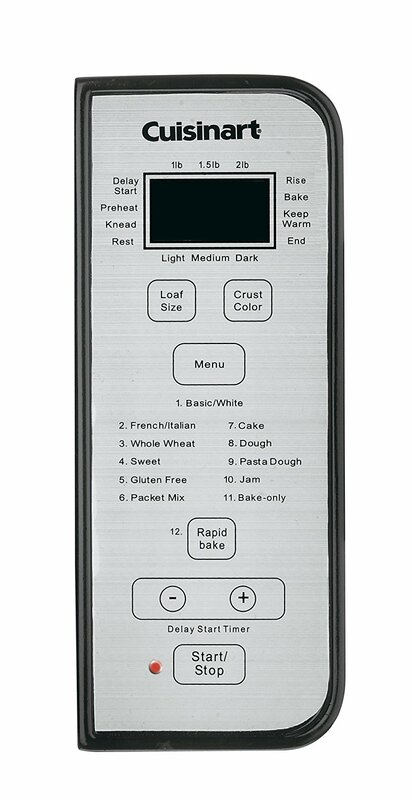 The control panel has an LCD display which shows you when the appliance is ready to use, and typically shows you basic information such as the program number selected, the program time remaining in hours and minutes, the size of the loaf your are currently baking in lbs, and the crust color you have chosen. The West Bend bread machine makes bread in three loaf sizes, 1 lb, 1.5 lb and 2lbs. This is a really terrific feature if you have a small family or you’re by yourself, yet you have family and friends over too. Most bread makers are strictly one size. So I really love this feature. You can choose a crust color of light, medium and dark. The control panel conveniently has a list of all the 12 programs the West Bend bread maker has to offer the user. You can make basic bread, French bread, Whole Wheat, Quick, Sweet, a Super Rapid 1 lb loaf bakes in under 2 hours, a Super Rapid 2 lb loaf of bread also can be baked in under 2 hours. Additionally there is a program for dough, jams, cake, sandwich bread and a bake only program, where you can bake for as long as you want. The buttons below this list of programs on the control panel are for the user to select the loaf size, the delay timer, the crust color, the menu button selects the program number, and a start / stop button. The delay timer can delay the start of baking by up to 13 hours in advance, so if you want the bread to be ready in 8 hours from now add the number of hours to the normal program time. There is the facility to create artisan style bread crusts by applying egg white to the dough just before baking begins, and the instruction book gives more details about how this can be done. The West Bend breadmaker can cope with power interruptions of less than 5 minutes duration, so lightning who cares! The instruction book shows how to bake a variety of interesting breads such as garlic bread, gluten free recipes for bread, rye bread, oatmeal bread, low carb bread. In short there are enough recipes to get you using the full range of programs the West Bend 2 lb bread maker has to offer. Included with this purchase are a measuring cup, measuring spoon and a hook for removing the kneading blade from the bread. The bread pan and kneading blade come with the bread maker as well. This particular West Bend Bread Maker is solid value for your money. 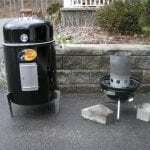 It’s easy to use, comes with everything you need and is durable. What more do you need? There is also a 1 year limited warranty. 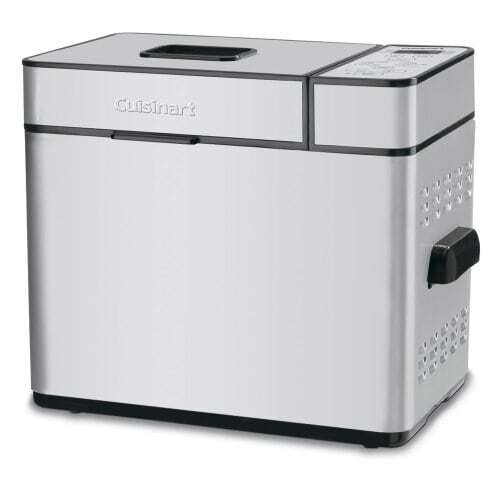 This Cuisinart bread maker bakes loaves of bread in 1 pound, 1 and a half pound and 2 pound sizes, all easily selected using the LED display panel. This is a great option so you can bake what you or your family uses rather than being stuck with more or less like with other brand bread machines. The 12 pre-programmed options are as shown on the website. The Cuisinart Delay Start buttons gives you the option of using the 13 hour timer. So you can prepare before hand and just let it automatically do it thing. There is a viewing window so you can keep an eye on the bread while it is baking. This machine can also makes gluten free bread. Another nice feature. In the event of a power outage, there is a handy power failure backup which means the unit remembers the stage bread making was at and continues once the power is restored. The bread maker keeps this information in memory for 15 minutes. The CBK-100 is well designed for an easy clean up too, and the paddle, removable pan, cup and spoon can all be washed in a dishwasher. The lid and touch pad control can be wiped clean using a damp cloth, and cleaning in general is made easier by the smoother shape of this model. This bread machine has Stay-cool handles to avoid getting your fingers burned. Also included with this product is a measuring cup, measuring spoon, and recipes to get you started. 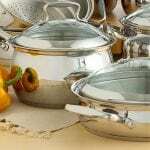 This Cuisinart measures 18 by 12-1/5 by 15 inches. The Cuisinart CBK-100 bread maker manual is a 12-page PDF document that can be downloaded from the internet and contains information, with diagrams, about how the bread maker works. It opens by outlining important safeguards. It then takes you through the Control Panel then shows the user how to make bread, and a clear way, with illustrations. If you have never made bread before you might not know that you should remove the bread as soon as it is ready, and allow it to cool on a baking rack. However, the CBK-100, by means of the Warm Cycle, keeps the bread warm for 60 minutes to stop it from becoming soggy. The instruction manual goes on to explain how to load the ingredients into the bread pan and there are some handy hints and tips in there as well. There is a cleaning and care section followed by a troubleshooting section which can be helpful if you end up having a problem. If you have never made your own bread before and would like to give it a try, the Sunbeam 5891 2-Pound Programmable Bread Maker is a moderately priced, more than adequate model to begin get you started bread at home. I’d say it is a good bread machine to find out about bread making for yourself, at very little financial outlay. And, because it carries a 1 year limited warranty, that gives further confidence that you really have nothing to lose by trying it out for yourself. This machine makes 1.5 and 2 pound loaves of bread. There are an impressive 12 cooking functions including a basic loaf of bread, French bread, whole wheat, quick, sweet, and more. And, there are programs for making dough, jam, cake, sandwich and bake. There’s plenty of options here to try out. A white loaf of bread is baked in 3 hours, while French bread takes 3 hours 50 minutes. The 5891 can bake bread in under an hour, for both sizes of loaf, using the ExpressBake program. By using the bread machine’s delay start function, the bread can be ready baked up to 13 hours later, though you can’t use ingredients, such as eggs, which go off quickly. You can choose from three different crust colors for your finished loaf, usually light, medium and dark settings. There is a convenient LED display with touch control panel and the controls are well laid out and easy to read. It only takes a few moment to get familiar with the layout and once you understand where the relevant buttons are and are happy with what they do, you probably won’t need to bother again. The Sunbeam 5891‘s removable non stick baking pan makes clean up after use a breeze. There is a viewing window to keep an eye on the progress of your bread. I find a viewing window a useful check to see if I have added too much yeast. I found the Instruction booklet that comes with the bread machine to be detailed and clear, with diagrams. A good selection of recipes is also included in the booklet. There is a one year limited warranty with this product. I found the instruction book wasn’t much help and I bought the “The BIG Book of Bread Machine Recipes” by Donna Rathmell German to give my bread making abilities a boost. This is a good first buy bread maker to try your hand at making bread. There are a good range of programs and you can control the crust color as well. This breadmaker is easy to use , fairly quiet in operation, and makes delicious bread. This is my best pick for someone new to bread making. So which is the best bread maker? To find the answer it helps to put the question in context. The best bread maker for a family might not suit someone living on their own and who is perhaps only using the machine once or twice a week at the most. As far as can be generalized, bread machines are reliable for months if not years. Even if you are unlucky enough to have a problem with one there is always the guarantee to fall back on if necessary. If you stick with the major manufacturers, such as Panasonic, Morphy Richards, Kenwood, and Russell Hobbs, you know you are in safe hands. These manufacturers make some great bread makers that are reliable and easy to use and have stood the test of time. These machines typically have at least ten programs, giving the user the ability to make a variety of different breads, and they give you the recipes as well. Bread makers can also make dough, jams and cakes. Some models have a Fastbake program which bakes the bread quicker than the time it normally takes. This can be a big time saver, though I would check the reviews to see how successful it is for each model. Bear in mind, the technology of bread machines is improving all the time, and there are new features and programs coming out as the manufacturers roll out new models. An example is the Kenwood BM260 which has an Eco program that bakes bread in under an hour and a half. People who buy bread makers tend to keep to the same manufacturer over time. When you have enjoyed good, reliable service from a bread maker machine for a long time it is hardly surprising when the time comes to renew, that people tend to stay with the same manufacturer. Just because a bread maker is cheap does not mean it won’t last long or be unsatisfactory in some way. There are some good cheap breadmakers on the market which consumers have welcomed and been happy to use. 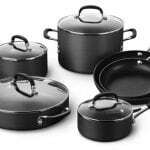 One of the most reliable indicators of deciding what is the best bread maker to buy is to read the reviews left by consumers who have purchased and used the product you are interested in. Reading bread maker reviews can be an invaluable help in making buying decisions.